Our range of products consists of Arms & Leg guards LAG-241217 that are fabricated using the top quality basic material. Our team of experts carves them out in super designs, shapes and patterns. These are valued in the market for their durability, great strength, rust-resistance and long service life. Cisco provides a complete line of small-business desk phones and analog adapters through their Linksys line. Huawei ETS5623 is a dual mode (TD/GSM) G3 wireless telephone which adopts advanced technology to design. It can wirelessly connect to GSM mobile communication network directly by wireless method. Immediately connect. We are amongst the reputed organizations, highly engaged in offering an optimum quality range of Openscape Desk Phone. Assisted by rich industrial experience and immense knowledge, we are able to provide IP Desk Phone. Owing to the vast industry experience and in-depth knowledge of this domain, we are offering a huge collection of high-quality Office IP Phones to our valued clients. 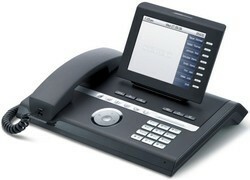 Backed by rich industry experiences; we are highly engaged in trading a premium quality range of Office Deskphone.